eForms can convert any existing paper or electronic document into a digital form and also allows users to create forms from scratch. eForms can then automate the form’s distribution, submission, tracking, and approval using customizable digital workflows, routing, and eSignatures. By increasing employee accountability through automated notifications and reporting, HR departments can ensure employees take action. Using the solution's self-service portal, employees can self-initiate processes and track statuses to completion. eForms not only makes organization easy by managing all employee documents digitally, it protects sensitive HR data by storing it on a secured platform that enables different user roles and controlled permissions. 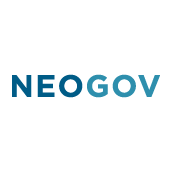 eForms works seamlessly with NEOGOV’s product suite, especially the Onboard solution. Onboard enables new hires to become more productive from their first day on the job by streamlining new hire paperwork, processes, and training. eForms enables process automation beyond the employee onboarding process, allowing the HR team to digitize any form and automate any HR workflow throughout an employee’s tenancy in a role. “eForms is really the result of a collaborative effort with our customers,” Director of Product for Onboard and eForms, Pamela Kubiak said. “Customers shared their frustrations with manual form processes, especially their difficulties with form tracking. We are excited eForms is going to solve these problems for public sector HR professionals once and for all."